One of the most in demand and profitable beauty salons in the main district of Edmonton, this is a successful business that is strategically located in a high foot traffic area. Its main goal is to revive, restore and replenish each and every customer’s body, mind and soul. This state-of-the-art health and wellness destination for men and women is the ultimate in manicures and pedicures, hair styling, detoxification therapies, make-up artistry, body treatments, facials, massages, waxing and skin indulgences, among others. It allows one to take a breather from the bustling activities of city life and recharge by availing any of their pampering services. This company has been serving the community for many years now. Apart from the high-end spa and holistic salon services this company offers, they also take pride in their very professional and highly experienced team of stylists and massage therapists. They have been trained to demonstrate the highest level of quality customer service from the very beginning. They make sure that they exceed every guest’s expectations who walks right through the shop’s door all the time. They guarantee a very short waiting time since all employees immediately attend to their customer’s needs. 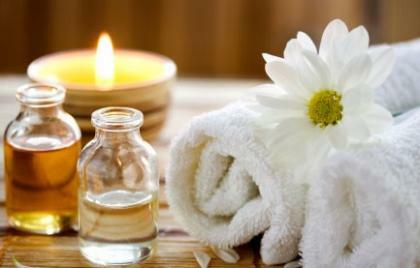 They also use all natural and toxin-free hair and skin treatments, massage oils and more. The company also has well-established procedures, policies and business strategies that have contributed much to its success for 16 years. The existing owner has included in the business package a $600,000 worth of well-maintained pieces of spa furniture and salon fixtures. There is also a stock value of worth $59,000 and the occupancy cost is priced at $172,000. Financing aid has also been provided to help the prospect buyer with the various operational expenses. For 16 years, this salon and spa has enjoyed a profitable revenue from repeat and new customers. There are other salons and spas within the vicinity, but more customers have trusted this business because of the quality of its products and services. This company has grown progressively, thanks to its professional team of hair and skin experts. It is also a good avenue to pursue possible markets beyond the Alberta area and put up a franchising system for this venture. The very spacious retail shop can still be expanded to accommodate more massage areas and treatment rooms. You can also offer free amenities such as complimentary drinks and snacks, newspapers or magazines, toiletries and more. With innovative marketing and advertising strategies, the network clientele can be expanded by targeting clients beyond the vicinity of Edmonton. The new management can offer holiday promotions, discounted rates, referral schemes and loyalty programs, among others. The current owner has committed to provide an all-inclusive training package for at least 4 weeks. This is to educate the prospect buyer of the various products and services that the company offers to its clients. It will also include seminars on the different company procedures and policies that the new management needs to implement to ensure the success of the business.